Rising Tide Car Wash in Parkland, Fla. offers all the standard services and amenities of your typical car wash. But look a little deeper, and you'll notice something truly remarkable about Rising Tide: they're primarily staffed by employees on the autism spectrum. Around 80 percent of the 43 employees of Rising Tide Carwash classify as autistic. The car wash claims that it is the largest employer of persons with autism in the United States. Started by John D'Eri, whose son and employee Andrew is diagnosed with autism, the car wash has given many individuals with autism a sense of purpose. "I don't want him to sit in a room, taken care of by others once I'm gone. I want him to have a life," D'Eri said in the video. "I want him to have a job, I want him to have friends who are like him, so this car wash creates an answer for Andrew, and also creates an answer for their mom, whose taken care of him and has done all the heavy lifting." According to the video, uploaded by NationSwell, there is a 90 percent unemployment rate amongst adults with autism. 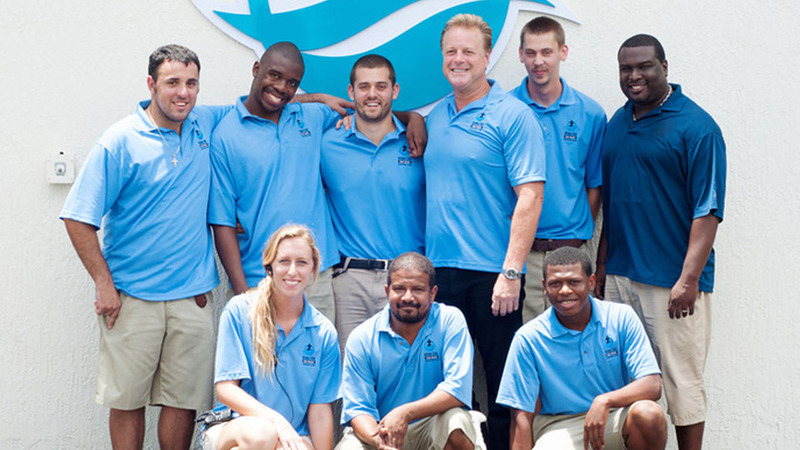 However, autistic individuals have proven to be excellent employees at Rising Tide Car Wash.
"Typically people with autism are really good with structured tasks, following processes, attention to detail," said Tom D'eri, COO of Rising Tide Car Wash. "So we thought there were really important skills that people with autism have, that make them, in some cases, the best employees you could have." Asides from their noble mission to provide employment to individuals with autism, Rising Tide Car Wash also provides excellent service too, based on customer reviews. You can learn more about Rising Tide Car Wash at the links below.